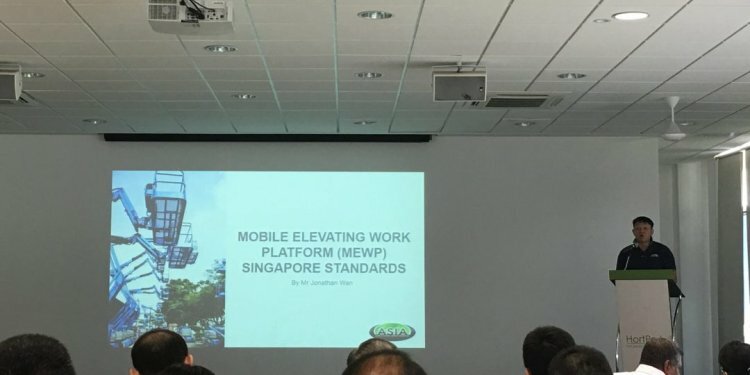 New standards that will address the design, safe use and training requirements for “mobile elevating work platforms” (MEWPs) are presently being drafted by U.S. and Canadian standards-development organizations. The American National Standards Institute and the Scaffold and Access Industry Association (ANSI/SAIA) and the CSA Group (formerly the Canadian Standards Association) are developing new standards in their respective ANSI/SAIA A92 and CSA B354 suite of standards that address MEWPs. As new standards are drafted, these organizations are referring to similar standards, such as ISO 16368 and the European EN280, in order to bring global uniformity to the design and use of these machines. The proposed standards are scheduled to take effect Q2 2017. In the proposed standards, machines formerly identified as “aerial work platforms” will now be identified as MEWPs. Further, standards will no longer address MEWPs by specific machine types, such as telescopic-boom, articulating-boom or scissors models. Instead, each MEWP will be categorized by Group (A or B) and Type (1, 2 or 3). Group A machines are those having platforms that are always over the chassis, such as scissors lifts; Group B models are those with platforms that do not always remain over the chassis, such as telescopic- and articulating-boom models. Type 1 machines can only move when in a stowed position; Type 2 machines can be moved when elevated, but controls are located on the chassis; and Type 3 machines can be moved when elevated and have controls on the platform. Any operator certification required will now list the Group and Type categories on which an operator has been trained. The proposed standards also will be written in a topic-specific format, compared with machine-specific topics in predecessor standards. For example, the revised ANSI/SAIA standard will cover design (A92.20), safe use (A92.22) and training (A92.24) for all MEWP variations. Comparable sections in the proposed CSA standard are B354.7.8 and .9. The proposed North American standards also will address specific design aspects for MEWPs, including platform-weight sensing, control activation, function speeds, stability testing, tires, and access guarding. Platform-weight sensing, for example, will require an onboard system that continually compares weight on the platform against a manufacturer-set limit, and the system will disable function if the limit is exceeded. Control activation will be designed to protect against “inadvertent and sustained involuntary operation.” In this regard, says Ian McGregor, director of product safety at Skyjack, physical guards, interlocks, additional enabling devices or time-out systems might be employed. McGregor also points out that the operator will no longer be able to activate travel controls simultaneously with any other controls—and that the proposed standards will specify appropriate maximum function speeds, which might vary from speeds typical for current machines. Material available on Genie’s Aerial Pro website indicates also that future boom lifts will disable drive and certain boom functions when the machine exceeds slope limitations. In addition, the new standards will determine machine stability requirements using a different approach than in previous standards, says McGregor, including accounting for forces generated by wind loading. McGregor also notes that the new standards might affect the type of tires use on MEWPs. The proposed standards also address the type of access guarding to be used on future machines, prohibiting the use of “flexible” materials, such as chains and ropes. This requirement likely means the use of more expensive access gates. According to Tony Groat—International Powered Access Federation (IPAF) North American manager and AWPT executive vice president—safe operation of all MEWP categories will be governed by common guidelines, such as those stating the minimum safe distance allowed from an energized conductor or those referring the operator to the manufacturer-defined safe working load for the platform. Also, says Groat, the new draft standards detail the process for performing a workplace risk assessment, which is to be completed prior to MEWP use.